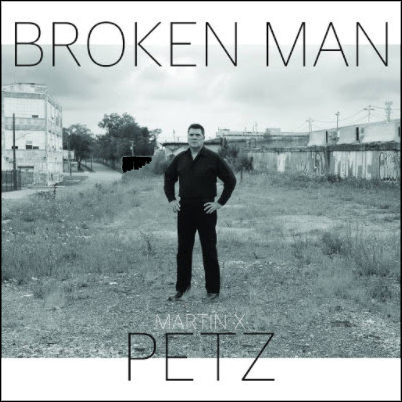 Martin X Petz – Broken Man – Album Review | The Ark of Music – The best music in the world…you never knew existed. 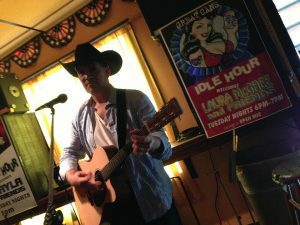 His commitment to defining the human condition through music, and sharing it with others, has connected him so strongly with his audience that his latest album, Broken Man, has seen airplay on over 50 radio stations across the USA. We were fortunate to have recently run across this unusually authentic body of work. The album’s title & lead-off track, Broken Man, sounds like something straight off of a Quentin Tarantino film score. From Petz’s rustic vocals (which have overtones of rocker Glenn Danzig), to the trombone, to the electric steel slide off in the distance, the track is unusual in the best of ways. Castaway is a slow and sweet acoustic/electric ballad which takes its time, the opening chords of which immediately bring to mind Scott McKenzie’s San Francisco. Chained concludes the album in genuine fashion. The song’s opening verse has a Johnny Cash-esque feel. Subtly the album’s most emotionally expressive and moving piece, Petz, once again, accomplishes this simply, with an acoustic guitar, a dash of keys & percussion, and his smooth and stoic vocals. It feels relevant to mention that, as a lifelong music lover, and a musician of about a decade, I’ve got a few playlists that I’ve been building for many, many years. It’s tough—damn tough—to get a song placed in one of these playlists. Chained just made the cut. Crystal clear production and musicianship, and simple, down-to-earth songwriting make Broken Man a fundamentally solid project. It sneaks up on you (just how good it really is), which may have something to do with its unusual, innocent quality. His voice is an island all its own, requiring very little supportive harmonies (if any), or additional background instrumentation to completely fill-out each song. (BTW, this is rare.) At times while listening, I found myself wondering if even Petz himself was fully aware of how wonderful this album is, or is it all just business as usual for him? I think what it boils down to is that, currently, what becomes popular is often hard, angsty, and divisive. Yet, Martin X has managed to gather ears and draw a crowd with the polar opposite, as his songs are soft, humble and inviting. He does not speak figuratively from an entitled pretext. He simply discusses his life, as honestly as he possibly can, while backed by extremely well-constructed melodies…a formula other artists would do well to emulate. BELOW, you can listen to Martin X Petz’s album, Broken Man, connect with his website and social media platforms, and find his booking & contact information. Please support Martin X Petz by visiting him online, and playing, downloading, and/or purchasing his music. And, as always, thank you for supporting real music! Contact Martin X Petz, HERE.